"Giant Steps [which was] recorded in 1959, has been a model for aspiring sax players ever since, but it's far more than a technical exercise, pointing the way toward the lava-flows of scales and runs that the critic Ira Gitler famously described as "sheets of sound". Like an engineer obsessively building a machine that could blast free of the restraints of time, space and mortality, Coltrane assembled a distinctive technique from miniscule parts and infinitesimal details. But his mission was to fuse them all into one single, huge, imploring sound in which all the details, while crucial, were no longer individually audible. For him, Giant Steps was more like a first step." 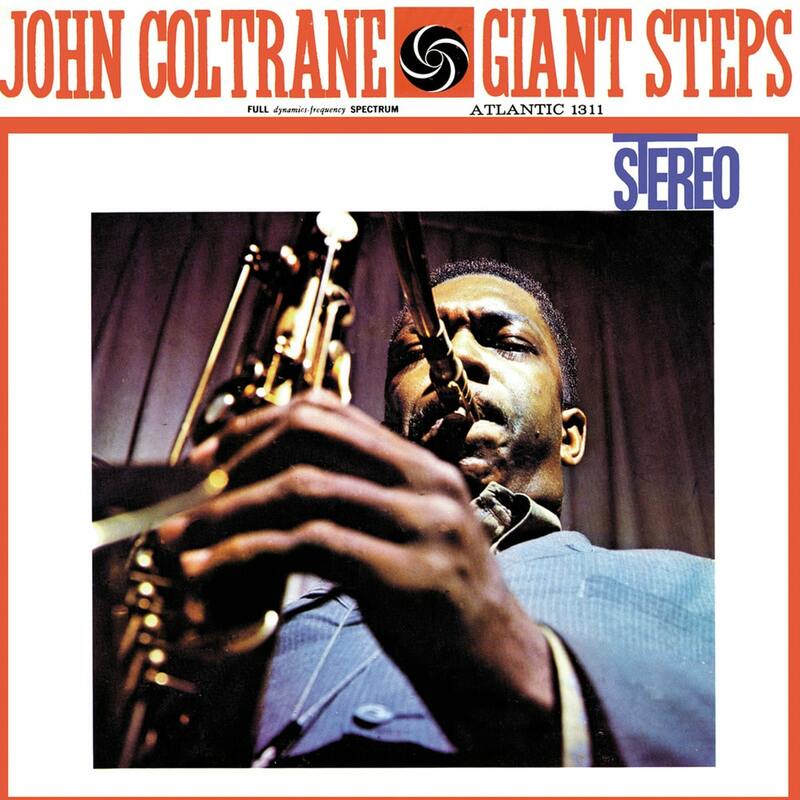 Giant Steps is the fifth studio album by jazz musician John Coltrane as leader, released in 1960 on Atlantic Records. This was his first album as leader for his new label Atlantic Records, fresh from the Kind of Blue Sessions with Miles Davis. Many of its tracks have become practice templates for jazz saxophonists.I n 2004, it was one of fifty recordings chosen that year by the Library of Congress to be added to the National Recording Registry. The recording exemplifies Coltrane's melodic phrasing that came to be known as sheets of sound, and features his explorations into third-related chord movements that came to be known as Coltrane changes. Jazz musicians continue to use the Giant Steps chord progression, which consists of a distinctive set of chords that create key centres a major third apart, as a practice piece and as a gateway into modern jazz improvisation. Several pieces on this album went on to become jazz standards, most prominently "Naima" and "Giant Steps."